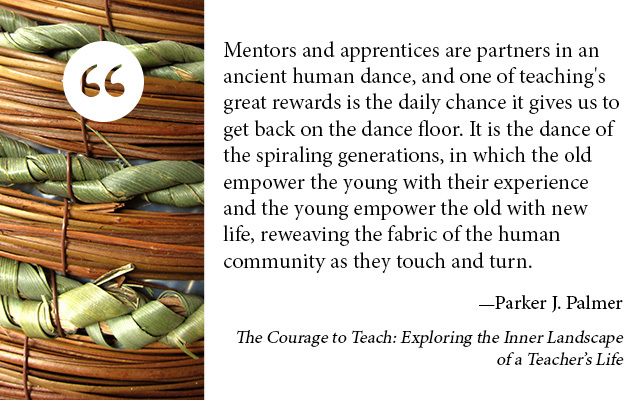 This entry was posted in wise words and tagged Courage to Teach, holding dreams for another, inspiration, mentorship, parker palmer, question by sarahwbartlett. Bookmark the permalink. I so much appreciate your image of midwife to other women’s voices. It helps me to understand my own role in facilitating writing circles for 5th grade girls and women. And also have felt the young bring me renewed life as I mentor and pass on the stories of our movement. Thank you Sarah.